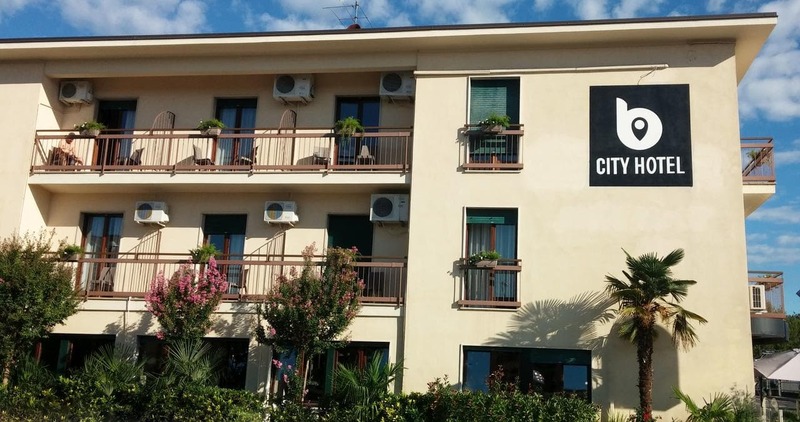 Less than a 5-minute walk from the shores of Lake Garda, B City Hotel offers air-conditioned rooms in Bardolino city centre. The property is non-smoking throughout, free WiFi is available. Rooms at the Hotel B City feature functional décor with a flat-screen TV and safe. Most rooms have a private balcony. El baño privado incluye una ducha, hairdryer and free toiletries. Guests can enjoy a breakfast buffet. Drinks and snacks are served at the on-site bar, open until midnight. B City Hotel is 10 km from Gardaland Theme Park and a 20-minute drive from Peschiera del Garda and its train station. Verona can be reached by car in about 25 minutos.